After this year’s list of Oscar nominees was announced, it was hard to miss the fact that the major award categories—Best Actor and Actress, Best Supporting Actor and Actress, and Best Director—excluded any African-Americans. (These aren’t the only categories to exclude black artists, but they are the most visible.) With Sylvester Stallone receiving the only (admittedly deserved) nomination from the universally-strong Creed as the ironic icing on the structural-racism cake, the hashtag #OscarsSoWhite again began trending on Twitter. Host Chris Rock referred to the upcoming ceremony as “The White BET Awards.” Jada Pinkett Smith suggested a boycott might be in order. 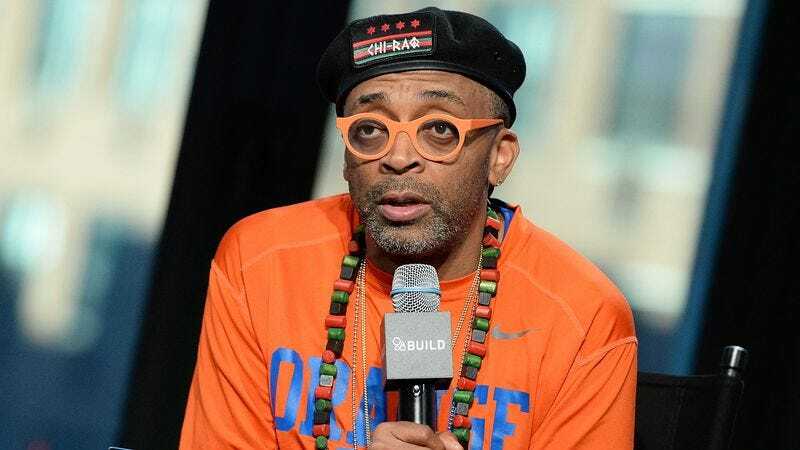 And at least one person has taken her up on that idea: Deadline reports Spike Lee, who just last year received an honorary Oscar (albeit one that relegated him to the Governors Awards ceremony, not the main event), is boycotting this year’s show in protest. Lee was also careful to stress that the awards are only a symptom of a larger problem, not the cause. “As I see it,” writes Lee, “the Academy Awards is not where the ‘real’ battle is. It’s in the executive office of the Hollywood studios and TV and cable networks. This is where the gate keepers decide what gets made and what gets jettisoned to ‘turnaround’ or scrap heap.” The internet, a haven of sober liberal discourse when it comes to race (not that Chi-Raq, the director’s most recent film, is some paragon of mellow political quietism), was quick to offer a surfeit of replies to his post. But @bryanfrois10’s measured comment, “OVER THE LAST 20 YEARS, ONLY 3 WHITE GUYS WON THE NBA MVP TROPHY! How avout that #spikelee, your moron?” will resound as the definitive answer to this thorny topic.